Mattel on the "Nurse Quacktitioner": Problem? What problem? Mattel on the "Nurse Quacktitioner": Problem? What problem? Oh--and did we mention the new Nurse Barbie? January 11, 2006 -- Mattel has now received letters from over 2,000 nurses and supporters, and the Center has held discussions with Vice President of Corporate Communications Lisa Marie Bongiovanni, about the Furryville "Nurse Quacktitioner" doll. Sadly, the company still refuses to remove or buy back any dolls. Mattel has suggested that nurses aren't really that upset about the doll because some unspecified number have actually told the company they like it, and because it thinks all the negative letters it has received are form letters. (In fact, we know the company has received and seen the hard copies we sent of 400+ different original letters). The company stresses that it had no malicious intent in creating the doll, and that the name of the duck doll includes the word "quack" because ducks quack, a point that had eluded us completely. Mattel still does not seem to understand that the doll exploits a pernicious stereotype of nurse practitioners, and that it has infuriated thousands of nurses, many of whom control or influence the purchasing decisions of countless family members, friends, patients, and students. Please: (1) call Mattel as often as you wish, using this contact information, and explain that you are really are upset about the doll, and that you will urge everyone you know to boycott all Mattel products until the company pulls or agrees to buy back all remaining dolls and issues a genuine apology; (2) if you have written an original letter, please send a copy directly to Ms. Bongiovanni; (3) if you have not written an original letter, please send one to Ms. Bongiovanni, even if it is only one sentence; (4) in all communications, urge Mattel to consult the Center and other nursing organizations in creating the forthcoming Nurse Barbie. Thank you very much! The Center has tried to explain to Mattel the problem with the Nurse Quacktitioner and to persuade the company to recall the remaining dolls, or allow retailers to sell them back, as Wal-Mart has agreed to do. Unfortunately, our discussions with Ms. Bongiovanni and others at Mattel have not yet had this effect. Reportedly, the company's reluctance to act is due in part to the fact that one or more nurses have told the company that they actually like the dolls; supposedly one or more nurses believe the dolls help ease pediatric patients' fears about nursing. 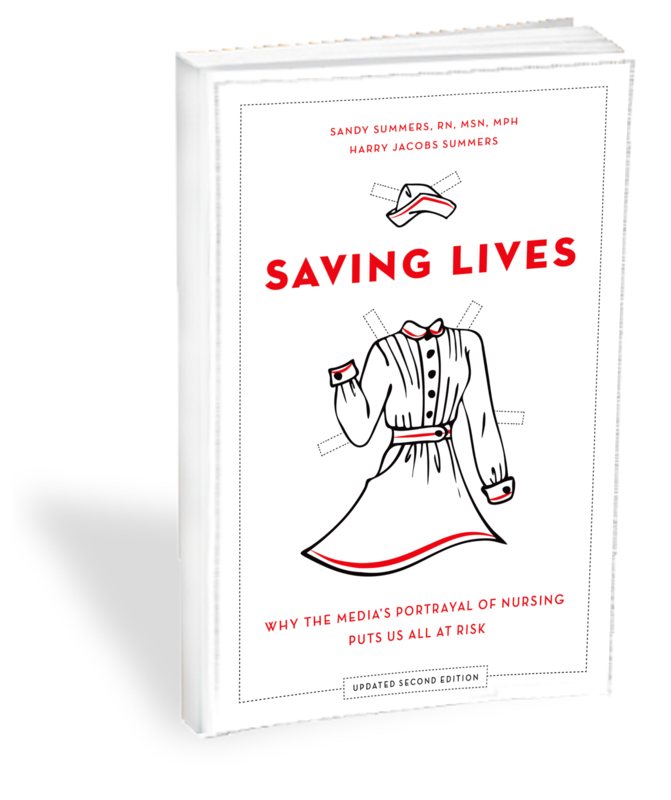 We urge anyone who holds this view to consider the message sent by a doll that exploits the main professional stereotype of nurse practitioners--that they are "quacks," untrained persons who pretend to be physicians and dispense medical advice. That the doll can reinforce this stereotype is not simply a common sense evaluation of its likely effect on impressionable youngsters and others. For proof of the doll's potential real world effect, consult the reactions of the UK physicians who have told Mattel that the doll is a perfect summary of NP skill and urged the company to keep selling it. For further discussion of the importance of nurses speaking out to improve public understanding of their work, please read "From Silence to Voice" and our FAQ pages. We also understand that Mattel is working on a new Nurse Barbie. In order to increase the chances that the doll might actually improve the nursing image, and avoid problems like those that are evident from the Nurse Quacktitioner, we have asked Mattel to hook us up with the designers. So far that has not occurred. or call Valerie Rodgers from Consumer Relations at 1-310-252-3197. Mattel's business hours are 8 am - 5 pm M-Th and 8a-1p F, Pacific time. If you have written an original letter, please send a copy of it directly to Ms. Bongiovanni and others by clicking here. And if you haven't written an original letter before, please send her one--even if it is only one sentence. Thank you for all that you have done on this campaign! Please support us so that we can continue to spearhead these campaigns. Thank you. Please email your original thoughts to Lisa Marie Bongiovanni and other Mattel decision makers by clicking here. Or if your email program does not import the addresses, please paste them in as below.